As mentioned in my previous post , Nokia Messaging makes mobile email easy and mobilizes consumer email across a range of Nokia S60 devices. Nokia Messaging enables users to quickly set up, access, and use their email on their Nokia devices through a service that is optimized for mobile email. 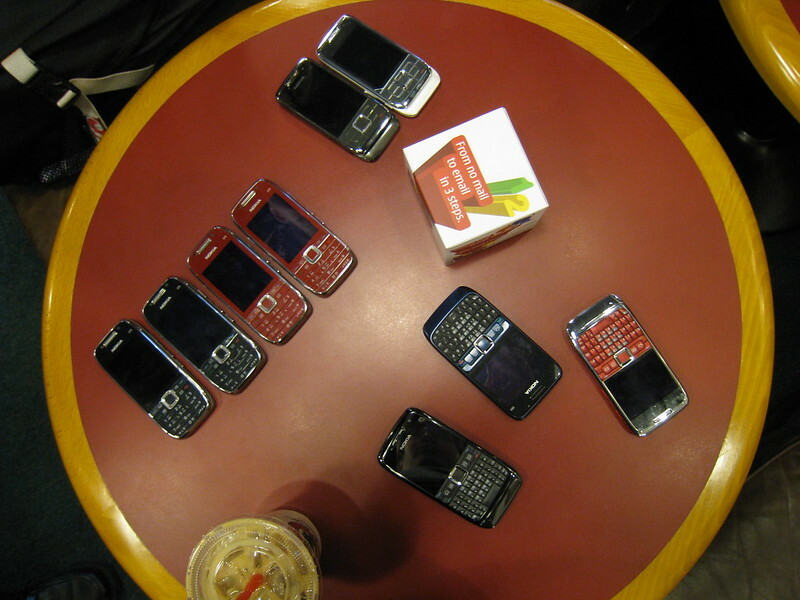 Today, there was a blogger event showcasing Nokia Messaging on Nokia Eseries phones such as the E71, E63, E66 and the E75. Setting up an email has never been easier, just need two things, your email address and your email password and Nokia Messaging will automatically try to determine your IMAP settings (default is IMAP and not POP3) based on your email address. If you are using Hotmail or Yahoo Mail, you are able to use the IMAP services on Nokia Messaging even though you are not Hotmail/Yahoo premium paying customers. Do note that you are not connecting to the mail severs straight but you are going through Nokia servers and then Nokia servers will query the mail servers on your behalf. Similar to how BlackBerry works. You are allowed up to 10 email accounts (non-corporate) on the Nokia Messaging. I did raise a question, what if your IMAP settings are not found in the Nokia Messaging server, the answer is that the user will have to key in the settings manually after Nokia Messaging fails to detect your IMAP settings. Also this service is not free, you are required to sign up with Singtel MobileM@il Plus in order to enjoy this service. MobileM@il Plus comes with a 10MB data plan as well. The normal subscription price is S$17.86 per month. M1 and Starhub will be rolling out the Nokia Messaging service as well. On a side note, Nokia E75  is already commercial available in the market since 18th April 2009 at at RRP of S$768 without any operator plan.